NEW National Park Adventure Guides! Congratulations to our Academy Bay Diving guides! 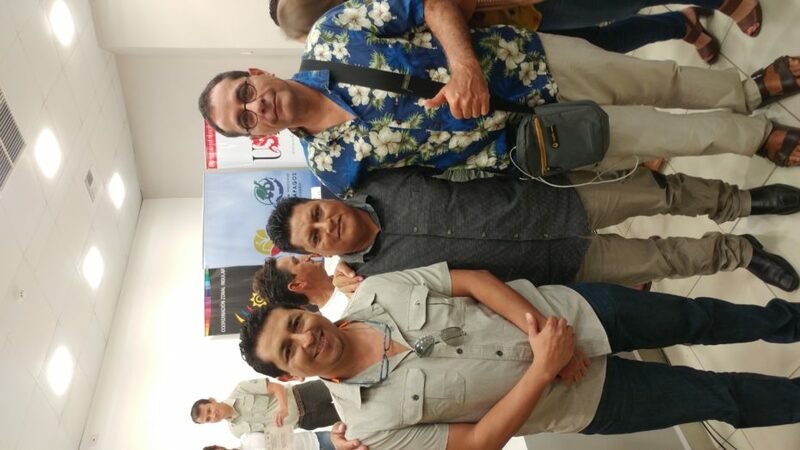 Congratulations to our newest Galapagos National Park adventure guides with specialty in Scuba Diving. We don’t actually have any new guides, but we do have the same guide with a whole lot of new information to share with our customers! After more than 10 years the patience of the Galapagos dive guides has finally paid off. 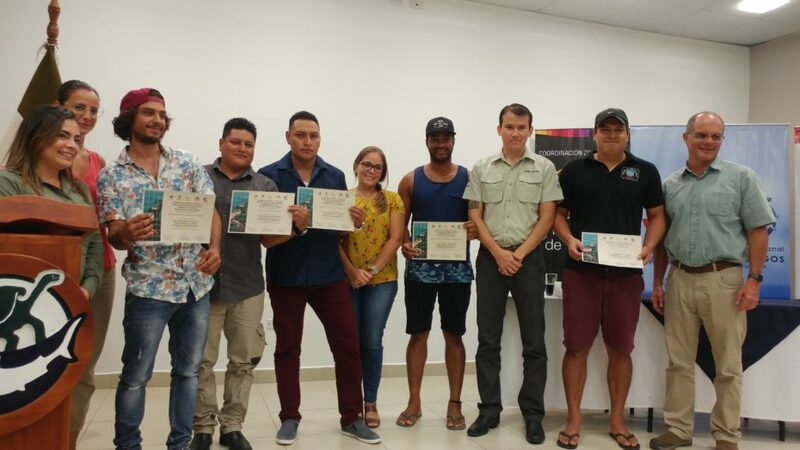 The Galapagos National Park in conjunction with the Ministry of Tourism Ecuador and the University San Francisco of Quito opened a 3 month long course for all of the existing dive guides in Galapagos to complete and finally have their National Park guide certificates (something the Naturalist guides in Galapagos have had a long time). 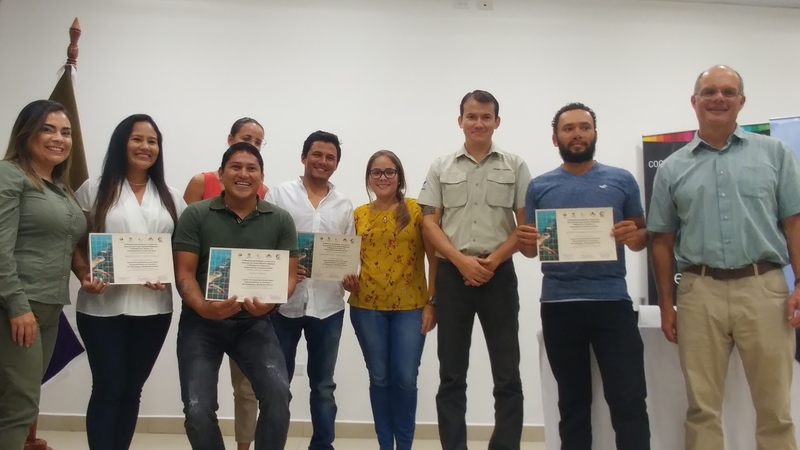 The course included practical sessions, first aid and anatomy, customer service, and of course a LOT of information about the flora and fauna of Galapagos, the currents, the conservation and more. 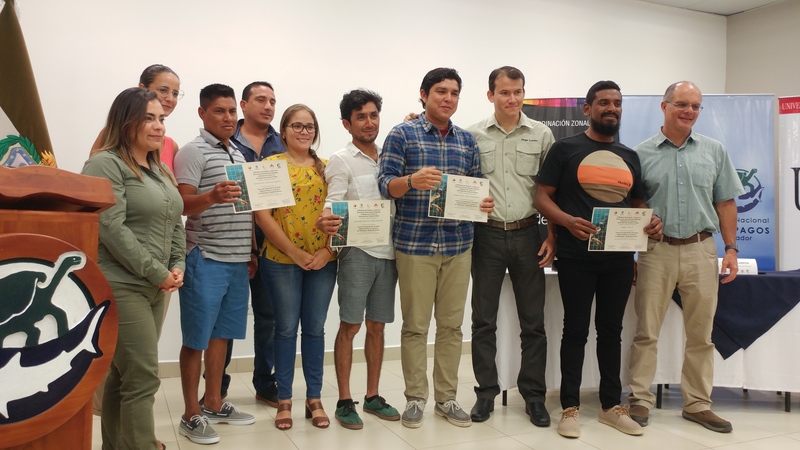 They (and of course us at Academy Bay) are all very proud to have their University certificates, so when you come to Galapagos make sure to quiz them on anything and everything to do with the Galapagos marine reserve! Filed under Uncategorized, Clean-up, Galapagos National Park, The Galapagos Marine Reserve, Parque Nacional Galapagos.